I am not looking for online videos. I want books; my internet is slow and there are some other problems. You can also tell costly books--Perhaps I could find them in the library or could print it somehow. 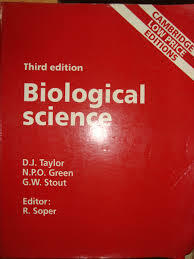 If Campbell Biology book is available online then please give me the download link. As @metacompactness said in the comments, the campbell (9th edition) is available and free in pdf online (here). This book is a classic that most undergraduate students know quite well. There are some very good online resources to get an introduction to biology. I think that online resources might have the drawback that they may miss the big picture that a whole book can give you and it may be complicated to really understand in what order you should look at the videos particularly if you jump from one website to another. Otherwise, it is often quicker to learn from someone speaking in a video than from reading a book. I learned lots in various field thanks to free online courses. I appreciate a lot reading books but I think that free online resource is the best option for you. As I did my undergrad in biology, I never really needed this kind of resource but generally speaking I find Khan Academy to be very good for introducing students to new fields of knowledge. And there is a whole biology section on Khan Academy. The MIT courseware is also a very good free resource. Education portail might be a good starting point as well. If you google "free introductory course biology" you will find many other resources. Here is a ted talk by Salman Khan (from Khan Academy) for the fun. This is a low price edition available in India on flipkart.com, it covers all topics extensively. It costs around ₹ 570. A great place to start is Khan academy. It is free and very easy to understand. Also, another thing you could try would be Bob Jones Biology (books A&B). I don't know how much those cost in India. But, they explain things in great detail starting at the bottom and working upward. I will let you know that they have a strong Christian influence which some people would disagree with. However, if you can look past that, they are excellent, well-written books! Not the answer you're looking for? Browse other questions tagged book-recommendation or ask your own question. How can I learn biology by myself? How to teach my self Biology and Chemistry? How a particular composition of molecules result into life in form of cell? Books for biology,popular but rigorous? what are the best books for the IIT-JAM biological sciences exam? Any books/publications about what life was like before antibiotics? Which books give data on how humans grow physically from birth till death?